It's a quirk of modern fiction that a lot of the people who read it work in offices, but very few of the people in it do. 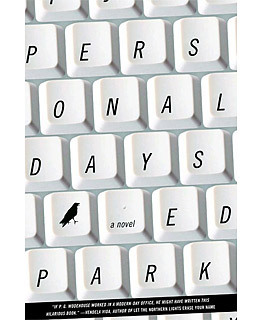 As Joshua Ferris's Then We Came to the End did last year, Personal Days takes a step toward correcting the imbalance. Set within the confines of a nameless, failing white-collar business, it chronicles the company's increasingly intense, intricate office culture, which gets more and more ingrown and self-referential and radioactive with each layoff. "It's possible we can't stand each other," says the novel's first-person-plural narrator, "but at this point we're helpless in the company of outsiders." This is a book that gets frighteningly truer month after month. Somehow it also remains just as funny.